Note: This particular article is written with an eye towards shelter pets simply because there are more of them — but it is designed to accommodate any and all pets or livestock — including horses. The rescue community looks expansive to the ‘undiscerning’ eye. Since the launch of the HOOFPRINTS.ORG site, we have begun to hear from people on a constant basis, many thinking that we’re a different type of a rescue operation. Most want to know more about facilitating rescue and are surprised or even puzzled as to how this country still seems to be overrun with animals when there seem to be so many rescues available that are willing to help. Unfortunately, when people NEED help, they discover the problem all of us have encountered: phones go UN answered, facilities are full, donors are ‘tapped out’. Why is this? Perhaps even more importantly: what can be done to change it? The issue is the same whether the orphaned animals are horses, donkeys, burros, dogs, cats or any other species — and the solution is the same, too. If the overabundance of orphan animals is ever to be effectively handled and changed, it is going to require two things: 1. Ending Overbreeding and 2. Teamwork. They may not understand that there are simply not enough facilities or the staff to maintain them to master and maintain the issue of pet overpopulation. Add to that the issue of the work itself. Animal husbandry, done correctly, is work. Walking, exercising, feeding, caring for and medically managing pets requires time and dedication. The public is inundated with the ‘bad news’ of the failures. In the less privileged areas, abandoned and even ‘dumped’ animals are generally visible no matter where in America one lives. Here, almost daily, there are reports of dangerous animals, running at large, that damage the lives or property of others — and it is only gaining momentum. Pit Bull breeding is still escalating even though current statistics show that just one in 600 will find a home once placed in a shelter if only because people are AFRAID TO ADOPT THEM. Some are concerned about their own safety, others the insurance factor. Placing an orphaned and essentially unknown Pit Bull in a home with children would certainly be considered to be not worth the risk — especially if anything went wrong and it did injure or kill anyone or anything. The ASPCA reports that 6.5 million companion animals enter America’s shelters annually. Of those, 3.3 million are dogs and another 3.2 million are cats. Consider now that these same statisticians report that millions more never make it into shelters but are abandoned or killed by uncaring ‘owners’. When one considers that adoptions account for 1.6 million dogs and another 1.6 million cats, you can begin to see the utter hopelessness of these figures and recognize that even though many animals are, in fact, placed, the success stories cannot begin to realistically compare to the dismal statistics reflecting the vast numbers of animals lives lost because humans aren’t doing enough to control their populations. First, let us take into consideration that competent pet aficionados should be able to own pets without overly burdensome governmental oversight. Thus, obtaining animals should remain a relatively easy procedure facilitated by shelters, rescues and even pet stores — which should all be providing orphaned animals to the public and not pets coming from breeders. If the outcry concerning new legislation is so pervasive that it cannot pass, it could even be presented as a temporarily measure to curb shelter overpopulation and once the shelter overpopulation issues are permanently corrected, municipalities could be offered the opportunity to vote to withdraw the legislation but, done correctly, there should be no reason for anyone to want to see it rescinded. It will cost far less than what we currently pay to maintain overcrowded facilities both in lives and money. They can get a replacement card for a fee, buy ‘Puppy Passports’ for new pets that are more ‘designer’ than standard issue. They have a given period of time in which to neuter or spay a very young pet — all delineated on the card and updatable if the card is chipped. The program administration should essentially be seen as fun, interesting and it should encourage competent pet ownership. Children can be taught effective pet parenting in a unique and entertaining way — guaranteeing their participation later on and encouraging them to learn to take care of whatever pets or livestock their family may possess. Ideally, most of the tasks related to this program could be facilitated by the local shelter facilities which would encourage people to come in, walk through and look at the latest additions to the shelter orphans. 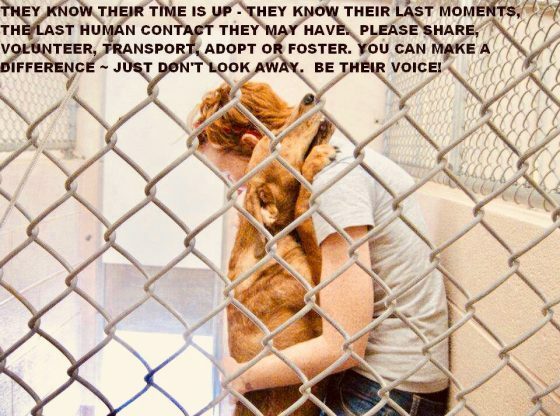 Volunteers should be able to take their time and have a photographic studio complete with clothes and accessories that can make these pets seen as more than just another frightened and lonely animal in need of a home — we all know the more traffic these facilities see, the better the chance for a wonderful ‘furever’ home for these adoptable orphans. This program will do away with most of the Now for the more difficult aspect of this program. If an individual, for whatever reason, does NOT want their pet to be neutered or spayed, they must obtain a ‘special dispensation’ to maintain complete control over the reproductive issues concerning this animal. A ‘How-To’ Manual will be provided, paid for by the higher registration fee for these animals and made available to those individuals that choose not to neuter or spay that clearly delineates their obligations under this program and the law pertinent to it. First, a site visit by a shelter volunteer can be made to photograph the scene and assist them in making sure they’re in compliance. They should have proper structures in which these animals are to be kept and, whenever the pets are outdoors, they must be confined to that specific area. Kennels and dog runs are viable. Yards, for instance, are fine provided the animal does not work to escape them with any level of proficiency or success as, under this legislation, animals running at large are strictly prohibited and will result in a fine. Again, we’re talking about UNNEUTERED/UNSPAYED animals in this instance. This is a large portion of the cause of pet overpopulation. Note: ANY animal chained will not meet the criteria for participation in this program and special consideration should be provided any animal discovered to be living at the end of a chain. This must be absolutely discouraged in the strongest of terms and alternatives to this method of ‘containment’ immediately sought. In other words, NO CHAINS. Animals forced to live their lives chained outside are at far greater risk for becoming aggressive, violent and dangerous. It is completely understandable that it can drive canines mad. Should a pet escape their enclosure and be recovered by law enforcement, a fine commensurate with the community demographic should be demanded along, if possible, with an appearance in a court of law or, if this is deemed to be too burdensome for the municipality, an appearance at the shelter to discuss the issue with law enforcement or a shelter director. At every opportunity, animal owners should be reminded that their decision not to neuter or spay their pets requires such measures because unneutered/unspayed animals require a much higher level of diligence in their care, a higher level of accountability and greater potential for a financial ‘setback’. If, for instance, their pet impregnates a neighbor’s pet and it is determined to be the fault of one party or another, that individual should have to bear whatever financial responsibility may result. With the legislation requiring that they can be fined, that they cannot advertise to sell their puppies online or off, and the encouragement via billboards and television Public Service Announcements asking that people report unneutered or pregnant animals running at large or any advertising of puppies for sale, if a breeder doesn’t have proper certification, they’re effectively put out of business. We have essentially a nation of animal lovers and millions of them are capable, intelligent individuals which bring a great deal of professionalism and dedication to the table. They’re in virtually all facets of rescue ranging from elephants to rats. Who are they and how does one tell the good ones from the ones who are simply capitalizing on the suffering of animals? Get tuned in by clicking the topical links below!